Belfield is a tiny self contained wine estate tucked away in the mountains of the beautiful, cool Elgin Valley. Cool in terms of fashion and temperature. Cool temperatures mean longer ripening periods and in the case of red wines particularly it means deeper colour and enhanced aromas and flavours. Mike and Mel Kreft own and run Belfield. The perfectly cared for vineyards provide quality grapes to the cellar which Mike elevates using traditional methods, his son Allister helping with the very strenuous punch down work. 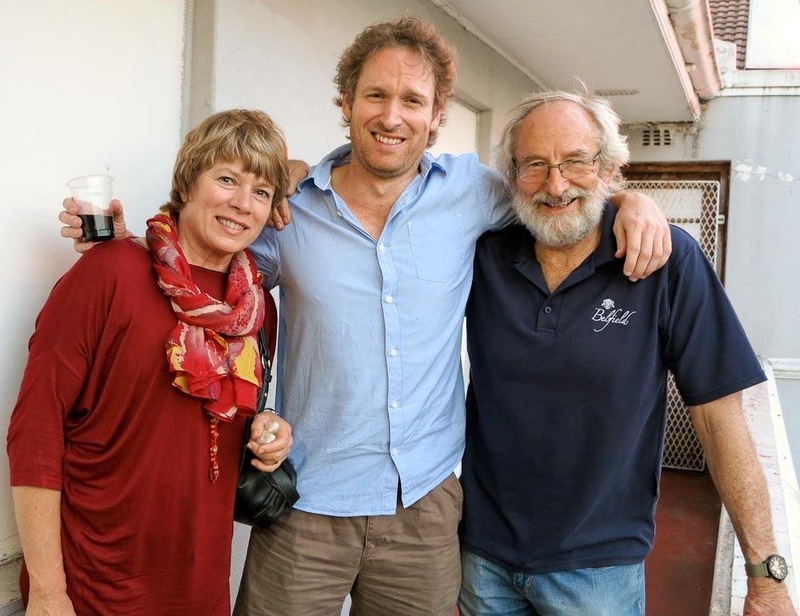 The Belfield Aristata 2011 is named for a variety of Protea found in little Karoo town of Ladismith in the late 1920s and then ‘lost’ until 1953. The grapes used in this Bordeaux grapes blend are Merlot 69%, Cabernet Sauvignon 12% and Cabernet Franc 19%, so tending to be more Right Bank in style. The vineyards are north facing, with deep, well drained soil comprising ironstone fragments. This ferricrete soil adds so much to the flavour and minerality in the wine. The grapes were harvested in the cool of the morning. 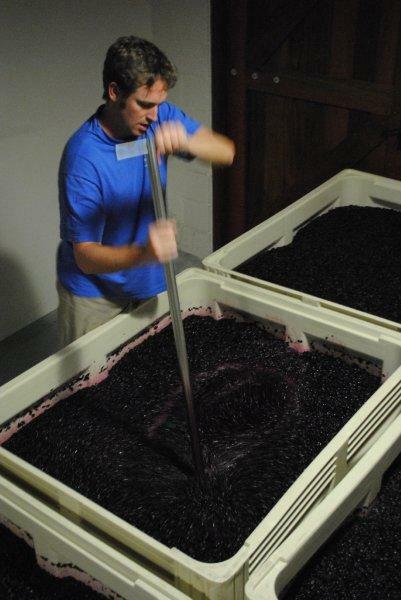 Cold maceration, the soaking of the skins in the juice before fermentation took place for four days. After this, the wine was fermented dry on the skins and then taken to French oak barrels for malolactic fermentation and maturation for 11 months before being prepared for bottling. Elegantly liveried, attractive diagonal label on a Bordeaux shaped bottle. In the glass a deep plum red at the core that pales out to garnet at the rim. Deliciouly ripe red and black berry and plum fruits. Top note of vanilla and sweet oak spices. Wound round its central core the wine unravels its complex layers, its rich round and velvety from entry through a wonderfully full mid palate. Perfect fruit in perfect harmony with the oak, its acidity, present and pleasant soft tannins. In the refreshing aftertaste you will be reminded of ripe bloodplums, roadside brambles and Christmas fruit pudding spice. This wine is the perfect bottle for after a good meal when you want to sit around the dying embers of the braai fire and have serious chats. A stately red like this needs a fully flavoured dish if it is to be part of a meal. 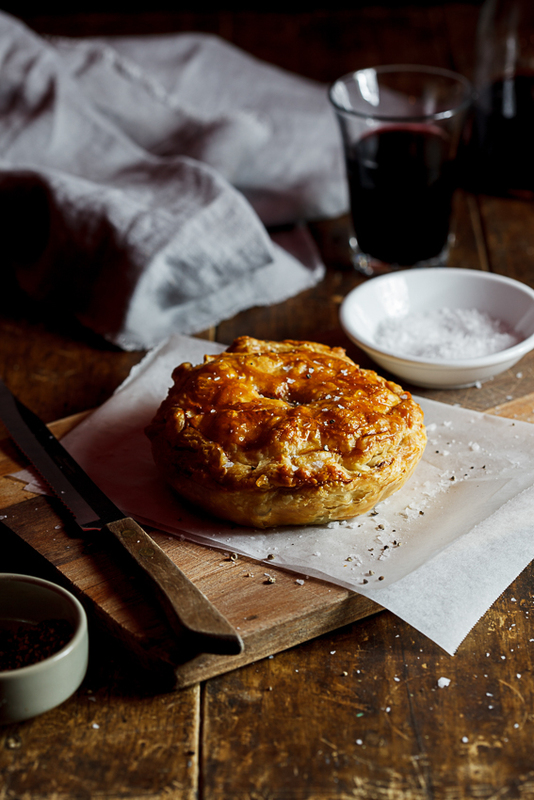 Alida Ryder, never shy of packing a bunch of flavour in her dishes, offers her pepper steak pie with its rich unctuous filling. Click here for her recipe. Belfield Wines are available from the Farm and are to be found on the shelves of wine merchants.